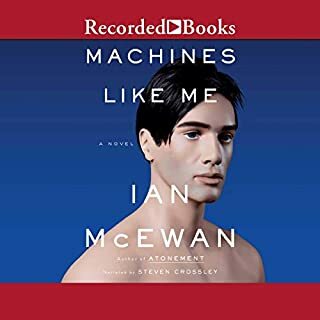 Machines Like Me occurs in an alternative 1980s London. Britain has lost the Falklands War, Margaret Thatcher battles Tony Benn for power, and Alan Turing achieves a breakthrough in artificial intelligence. Meanwhile, two lovers will be tested beyond their understanding. Charlie, drifting through life and dodging full-time employment, is in love with Miranda, a bright student who lives with a terrible secret. When Charlie comes into money, he buys Adam, one of the first batch of synthetic humans. With Miranda's assistance, he co-designs Adam's personality. 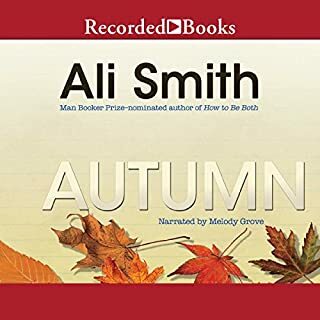 Fusing Keatsian mists and mellow fruitfulness with the vitality, the immediacy, and the color hit of Pop Art, Autumn is a witty excavation of the present by the past. The novel is a stripped-branches take on popular culture and a meditation, in a world growing ever more bordered and exclusive, on what richness and worth are, what harvest means. 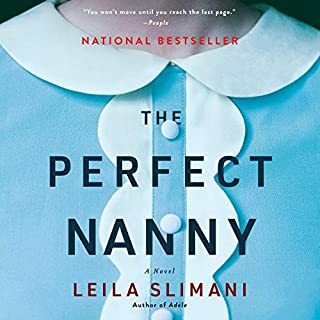 When Myriam decides to return to work as a lawyer after having children, she and her husband look for the perfect nanny for their son and daughter. They never dreamed they would find Louise: a quiet, polite, devoted woman who sings to the children, cleans the family’s chic Paris apartment, stays late without complaint, and hosts enviable kiddie parties. But as the couple and the nanny become more dependent on one another, jealousy, resentment, and suspicions mount, shattering the idyllic tableau. Alexandr and Christine and Zachary and Lydia have been friends since they first met in their 20s. Thirty years later, Alex and Christine are spending a leisurely summer’s evening at home when they receive a call from a distraught Lydia: She is at the hospital. Zach is dead. In the wake of this profound loss, the three friends find themselves unmoored; all agree that Zach, with his generous, grounded spirit, was the irreplaceable one they couldn’t afford to lose. Inconsolable, Lydia moves in with Alex and Christine. The loss warps their relationships. 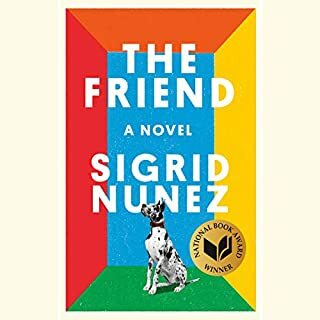 When a woman unexpectedly loses her lifelong best friend and mentor, she finds herself burdened with the unwanted dog he has left behind. Her own battle against grief is intensified by the mute suffering of the dog, a huge Great Dane traumatized by the inexplicable disappearance of its master, and by the threat of eviction: Dogs are prohibited in her apartment building. While others worry that grief has made her a victim of magical thinking, the woman refuses to be separated from the dog except for brief periods of time. In the North of England, far from the intrusions of cities but not far from civilization, Silvie and her family are living as if they are ancient Britons, surviving by the tools and knowledge of the Iron Age. For two weeks, the length of her father’s vacation, they join an anthropology course set to reenact life in simpler times. The ancient Britons built ghost walls to ward off enemy invaders, rude barricades of stakes topped with ancestral skulls. When the group builds one of its own, they find a spiritual connection to the past. What comes next but human sacrifice? In this unnamed city, to be interesting is dangerous. Middle sister, our protagonist, is busy attempting to keep her mother from discovering her maybe-boyfriend and to keep everyone in the dark about her encounter with Milkman. But when first brother-in-law sniffs out her struggle and rumours start to swell, middle sister becomes "interesting" - the last thing she ever wanted to be. To be interesting is to be noticed, and to be noticed is dangerous. Milkman is a tale of gossip and hearsay, silence and deliberate deafness. It is a story of inaction with enormous consequences. The Overstory unfolds in concentric rings of interlocking fable that range from antebellum New York to the late 20th-century Timber Wars of the Pacific Northwest and beyond. An air force loadmaster in the Vietnam War is shot out of the sky, then saved by falling into a banyan. An artist inherits 100 years of photographic portraits, all of the same doomed American chestnut. A hard-partying undergraduate in the late 1980s electrocutes herself, dies, and is sent back into life by creatures of air and light. A hearing- and speech-impaired scientist discovers that trees are communicating with one another. Frances is a cool-headed and darkly observant young woman vaguely pursuing a career in writing while studying in Dublin. Her best friend and comrade-in-arms is the beautiful and endlessly self-possessed Bobbi. At a local poetry performance one night, Frances and Bobbi catch the eye of Melissa, a well-known photographer, and as the girls are then gradually drawn into Melissa's world, Frances is reluctantly impressed by the older woman's sophisticated home and tall, handsome husband, Nick. Interesting point of view; glad I listened! A House for Mr. Biswas, by Nobel and Booker Prize-winning author V. S. Naipaul, is a powerful novel about one man's struggle for identity and belonging. Born into poverty, then trapped in the shackles of charity and gratitude, Mr. Biswas longs for a house he can call his own. He loathes his wife and her wealthy family, upon whom he is dependent. Finding himself a mere accessory on their estate, his constant rebellion is motivated by the one thing that can symbolize his independence. In December 1972, Jean McConville, a 38-year-old mother of 10, was dragged from her Belfast home by masked intruders, her children clinging to her legs. They never saw her again. Her abduction was one of the most notorious episodes of the vicious conflict known as "The Troubles". Everyone in the neighborhood knew the IRA was responsible. But in a climate of fear and paranoia, no one would speak of it. In 2003, five years after an accord brought an uneasy peace to Northern Ireland, a set of human bones was discovered on a beach. McConville's children knew it was their mother. The dictionary doesn’t contain every word. Gretel, a lexicographer by trade, knows this better than most. She grew up on a houseboat with her mother, wandering the canals of Oxford and speaking a private language of their own invention. Her mother disappeared when Gretel was a teen, abandoning her to foster care, and Gretel has tried to move on, spending her days updating dictionary entries. One phone call from her mother is all it takes for the past to come rushing back. To find her, Gretel will have to recover buried memories of her final, fateful winter on the canals. 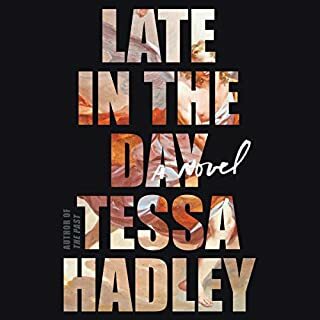 Borrowing from painting’s fresco technique to make an original literary double-take, it's a fast-moving, genre-bending conversation between forms, times, truths, and fictions. There’s a Renaissance artist of the 1460s. There’s the child of a child of the 1960s. Two tales of love and injustice twist into a singular yarn where time gets timeless, structural gets playful, knowing gets mysterious, fictional gets real--and all life’s givens get given a second chance. In a country teetering on the brink of civil war, two young people meet - sensual, fiercely independent Nadia and gentle, restrained Saeed. They embark on a furtive love affair and are soon cloistered in a premature intimacy by the unrest roiling their city. 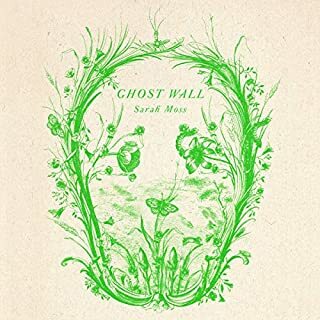 When it explodes, turning familiar streets into a patchwork of checkpoints and bomb blasts, they begin to hear whispers about doors - doors that can whisk people far away, if perilously and for a price. In his final days, beloved and ailing patriarch Miguel Angel de La Cruz, affectionately called Big Angel, has summoned his entire clan for one last legendary birthday party. But as the party approaches, his mother, nearly 100, dies herself, leading to a farewell doubleheader in a single weekend. Among the guests is Big Angel's half-brother, known as Little Angel, who must reckon with the truth that although he shares a father with his siblings, he has not, as a half gringo, shared a life. Across two bittersweet days in their San Diego neighborhood, the revelers mingle. Wayétu Moore’s powerful debut novel, She Would Be King, reimagines the dramatic story of Liberia’s early years through three unforgettable characters who share an uncommon bond. Gbessa, exiled from the West African village of Lai, is starved, bitten by a viper, and left for dead, but still she survives. June Dey, raised on a plantation in Virginia, hides his unusual strength until a confrontation with the overseer forces him to flee. Norman Aragon, the child of a white British colonizer and a Maroon slave from Jamaica, can fade from sight when the earth calls him. In the house of Helios, god of the sun and mightiest of the Titans, a daughter is born. But Circe is a strange child - not powerful, like her father, nor viciously alluring, like her mother. Turning to the world of mortals for companionship, she discovers that she does possess power - the power of witchcraft, which can transform rivals into monsters and menace the gods themselves. George Washington Black, or "Wash", an 11-year-old field slave on a Barbados sugar plantation, is terrified to be chosen by his master's brother as his manservant. To his surprise, the eccentric Christopher Wilde turns out to be a naturalist, explorer, inventor, and abolitionist. Soon Wash is initiated into a world where a flying machine can carry a man across the sky, where even a boy born in chains may embrace a life of dignity and meaning - and where two people, separated by an impossible divide, can begin to see each other as human. But when a man is killed and a bounty is placed on Wash's head, Christopher and Wash must abandon everything. 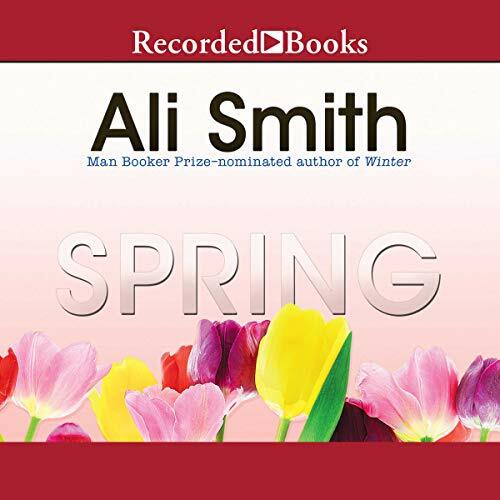 On the heels of Autumn and Winter comes Spring, the continuation of Ali Smith's celebrated Seasonal Quartet, a series of stand-alone novels, separate but interconnected (as the seasons are), wide-ranging in timescale and light-footed through histories.